New Female Voice add-on has been released. 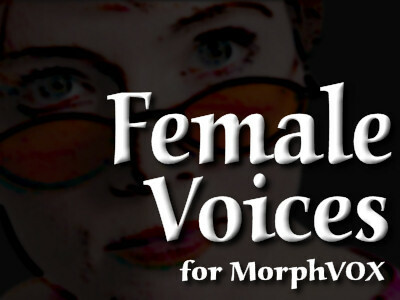 This voice-pack includes six new women voices. Sound like Agnes, the kind and stately grandmother or Celeste, the young and idealistic college student. Using the latest in filter and vocal technology, Female Voices can produce some natural-sounding transformations. This free MorphVOX voice add-on is easy to download and install.